C-130F US Forrestal Carrier Landing. . .
F-105 called a starfighter and YF-12 called an SR-71?? Why can't VTOL planes travel supersonic? 1) What is a microburst? 2) What is Jetwashing? 3) What's 'dead man's plunge'? 4) Can a plane fall from strong turbulence? What is the top speed of the F-22? Has an airplane ever achived a speed of mach 3, or if not, is it theoretically possible? What is the world's largest airplane? Are there any commercial aircraft with in-air refueling capabilities? "In 1965 a C-130F aircraft landed on the aircraft carrier Forrestal 90 miles north of Lajes Field, Azores Portugal, 21 times in one day with no hooks and no catapalt. It was a Navy / Marines aircraft, piloted by a Marine. Where can I get information about this mission?" Here is a good page about that mission (USS Fortestal landing). Here is a quote from that website, ". . .Not only was it possible, it was done in moderately rough seas 500 miles out in the North Atlantic off the Boston Coast. In so doing, the airplane became the largest and heaviest airplane to land on a U.S. Navy aircraft carrier, a record that holds to this day." 2. which wing is the best in speed, agility, and carring armaments. c, the wings like on su-37 or f-22." 2) The best wing overall would be the delta wing, with plenty of room for armement and great low and high speed agility. How do planes fly, are they really held up by will power alone? Its all about science. High and Low pressure , acceleration, thrust, lift (high and low pressure). This is how planes fly. . . According to the laws of science, objects are drawn to low pressure. As the first drawing shows, the air flowing over the bottom of the wing has a straight shot to the end, yet the air on the top of the wing has a larger area to cover. Both air flows have to meet at the back of the wing at the same time and in order to do this, the air flowing on the top of the wing must travel at a higher velocity, thus causing a low pressure on top and causeing lift. Rockets - solid and liquid, turboprop (propellor), or jet engines. Nuclear and laser are newer ways they are testing. This thrust gives a forward motion and causes the airflow over the wings, thus providing lift and forward movement. Aerodynamics conserve fuel and let aircraft travel faster because the airflow over the fuselage doesn't have many obstacles to flow over, slowing the plane down. Actually, small stubby wings have been incoorperated on numerous flying machines like the F-4, F-104, F-117, X-3, and helicopters. Yes, helicopters have thin-long "wings". The F-4 is not a marvel in flying and the engineers did not do an amazing feat just for making it fly at low speeds and altitudes. There is an obvious scientific answer to that, and that can be shown like a helicopters blades. The angle of attack of the helicopters "wings" provide lift, even though they are extremely thin, the angle of them makes up for their size by making the air over the top of the blade travel even FASTER than it would if the blades were level like a wing-providing an even lower pressure above the wings and thus more lift. Speed or angle of attack can drastically change the lift a wing can give. This is the only way the F-4 and the like can fly at low speeds and low altitudes. It is not because they have a large powerplant, yet that would help keep it up in the air somewhat because the engine exhaust would be pointed more downward at high angles of attack, giving upward lift and forward lift that way. As the part about a brick able to fly with an engine, yes, this is somewhat possible. If you take a look at the AV-8B harrier and all of the other V/STOL aircraft, the engines provide upward lift making the aircraft able to hover in mid air, if the engines were slanted diagonally, they could provide upward and forward lift making the brick fly. So All aircraft need a type of wing, no matter how large. Lifting bodies are a wing themselves, acting with low pressure above the aircraft and higher pressure below - providing the lift needed without wings. "I thought the F-105 was called a starfighter and the YF-12 was called an SR-71." The Lockheed F-104 was designated the Starfighter. The Republic F-105 went under the name Thunderchief. The Blackbird program came to be with the test aircraft designated the A-12. After preparation and testing, it was designed into the YF-12. The YF-12 was the next Blackbird program to be started. It was designed as a high speed interceptor. After that program did not succeed, it was redesigned yet again into a high altitude, high speed reconnaissance aircraft designated the SR-71. All three aircraft designs look very similar, mostly because they were all generated from the same aircraft -- the A-12. "Why aren't the VTO jets, like the Harrier Jump Jet and the V22, able to fly at super-sonic speeds? Is it because of the pitch of the blades in the jet engine?" The only reason the V-22 cannot fly supersonic is because it is a propellor plane. Propellor driven planes are usually not capable of supersonic flight. The Harrier aircrafts are slightly underpowered and heavy, so they can only fly just under the speed of sound. The new Joint Strike Fighter (JSF) models will be much larger and more powerful than the Harriers and will be able to fly supersonic. "1. I heard the other day someone say that some airplane in the Orient fell because of a "microbust". What's that? 2. The other day I was in a small plane when I felt death comming. This little plane swung violently like in a weird S shape from side to side. When we landed the captain said we were experiencing "jet washing" and a big 747 had just passed. What is that? 3. I was watching a documentary on John F. Kennedy Jr. death and I heard something about the "dead man's plunge". What's that? 4. I've wondered this for a while. Can a plane actually fall from a strong turbulence?" 1) Microbursts are an extremely violent downward blast of air that hits the earth and radiates outward. With its sharp shifts in wind direction and wind speed, it can cause an aircraft to lose lift and crash. Crashes are more likely during takeoff or landing, when the slower speeds and closeness to the ground make altitude correction more difficult. 2) Jet Wash happens when air is disturbed around a plane's wings or other flight control surfaces. When trailing a plane, jetwash can cause the plane to shake violently and do strange things. When the 747 passed, it disrupted the airflow causeing the plane to veer side to side. 3) JFK Jr. couldn't properly read his flight instruments. When its nighttime and visability is low, you have to use you flight controls to tell whether the plane is going down or leaning, etc. JFK Jr. had no clue his plane was steeping downwards, so he took the 'dead mans plunge'. 4) I suppose if the turbulence was strong enough to do damage to the aircraft then it could take a plane down, most of the time turbulence is nothing to worry about. What is the top speed of the F-22? They say that it'll do MACH 1.58 without afterburner, but only top out at 1.7 with afterburner - but it's more aerodynamic and powerful than the F-15, which does MACH 2.5. The F-16 and F-15 do not go mach 2+ on average. The F-16s normal speed is actually SUBsonic while its max speed is Mach 2 with full afterburner. No one will ever see an F-16 going double sonic on a normal basis. So the F-22 isn't that much far behind. The F-15 rarely goes over mach 2 either, its top cruise speed is around mach 1 or less. The F-22 is also classified as a mach 2 category fighter, meaning it has the ability to reach mach 2 just like the F-16, yet RARELY will ever go near that fast. The X-15 acheived a top speed of mach 6.72 with an altitude of about 350,000 feet. The only reason it cannot take off from the ground is because it barely had enough fuel to make the short flights that it did, so taking off from the ground would waste way too much fuel. The SR-71 (A-12 and YF-12) all went over mach 3.2 and are currently the fastest planes to be able to take off under their own power - not having to be carried to altitude by a B-52 like the X-15. The XB-70 went over Mach 3 also. 2 protoypes were made, one crashed and the other is in a museum. It could acheive a top speed of around mach 3.2 and an altitude of 95,000+ feet. And it is true that at one point in the atmosphere entrance of the space shuttle, the shuttle reaches a top speed of mach 21 or more because of gravity and the kinetic energy the shuttle has from going through space. The fastest speed attained by a craft with humans in it is 24,790 miles per hour (around Mach 37). This was the re-entry speed reached by the Apollo 10 craft. The fastest speed recorded for a craft with no humans in it was 150,000 miles per hour (around Mach 227), reached by the Helios satellite that is in orbit around the Sun. 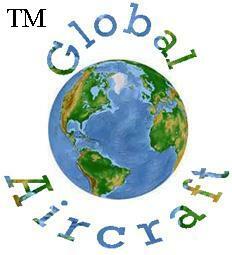 Ask JetWhiz An Aviation Question!